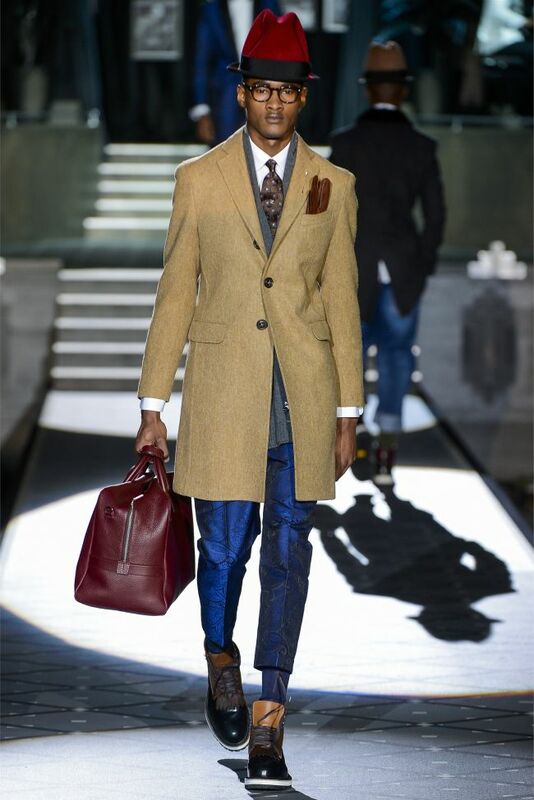 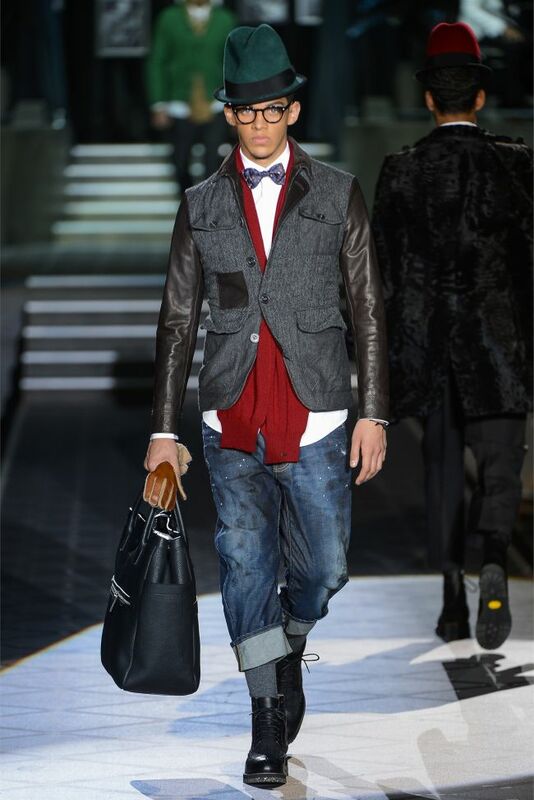 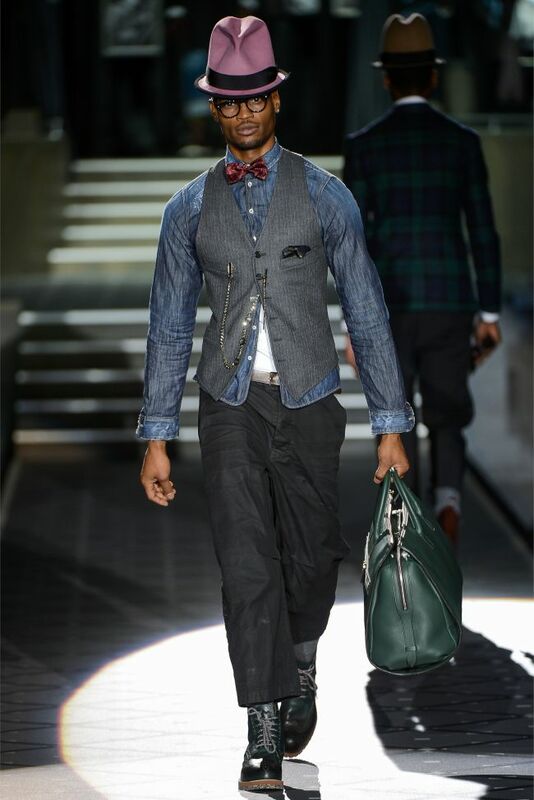 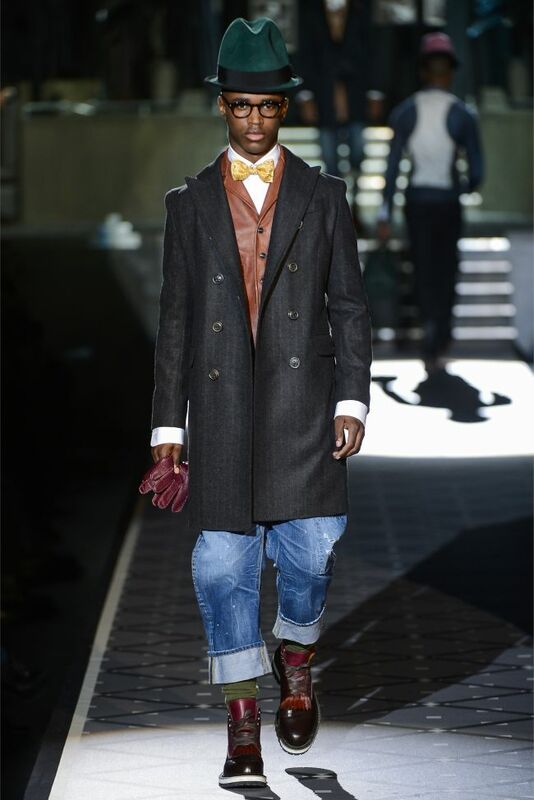 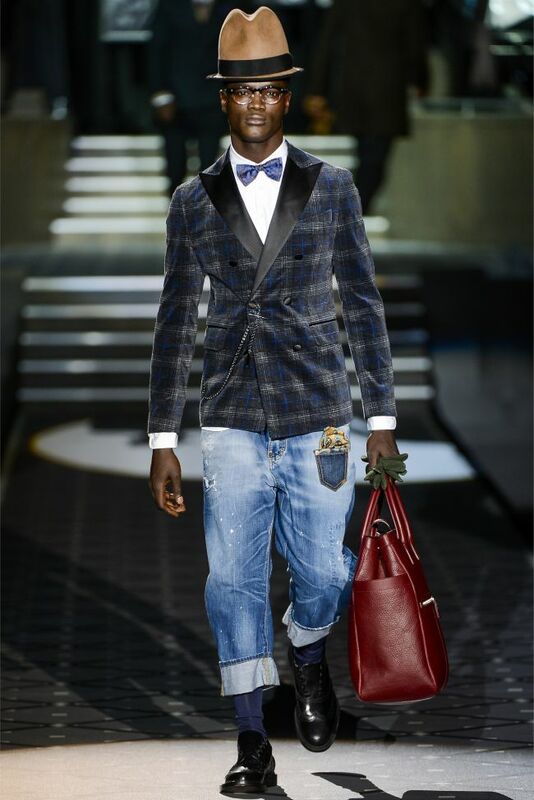 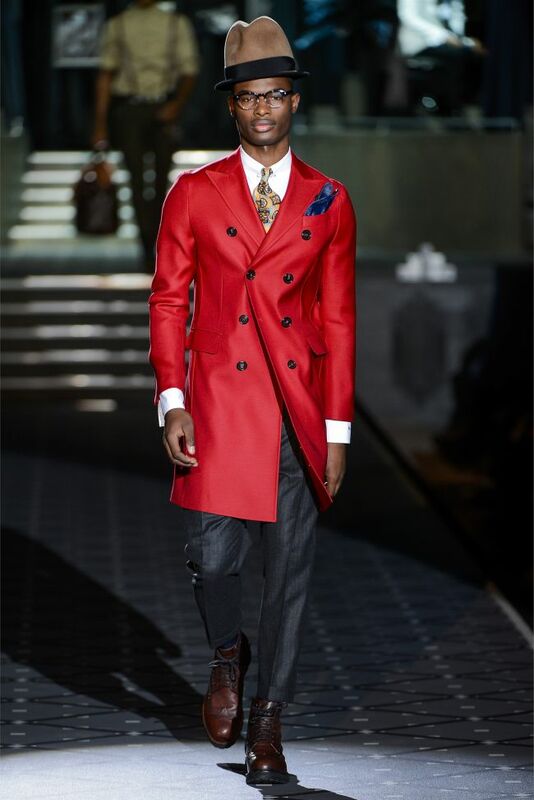 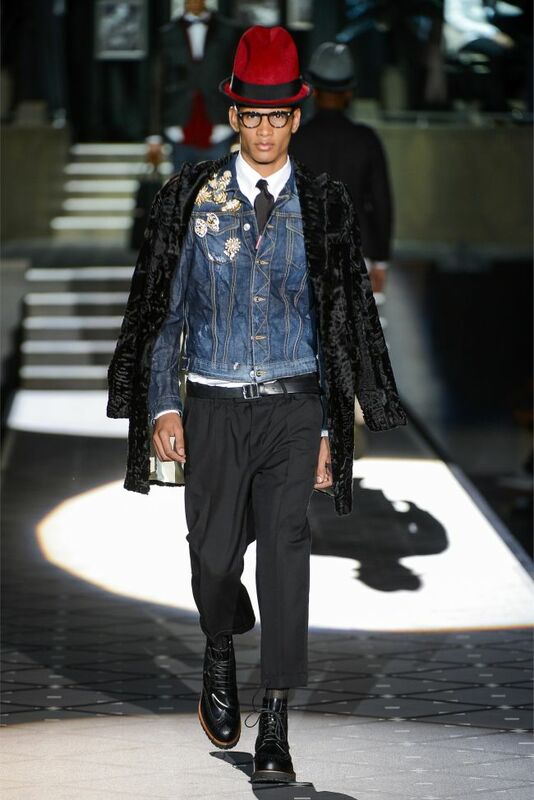 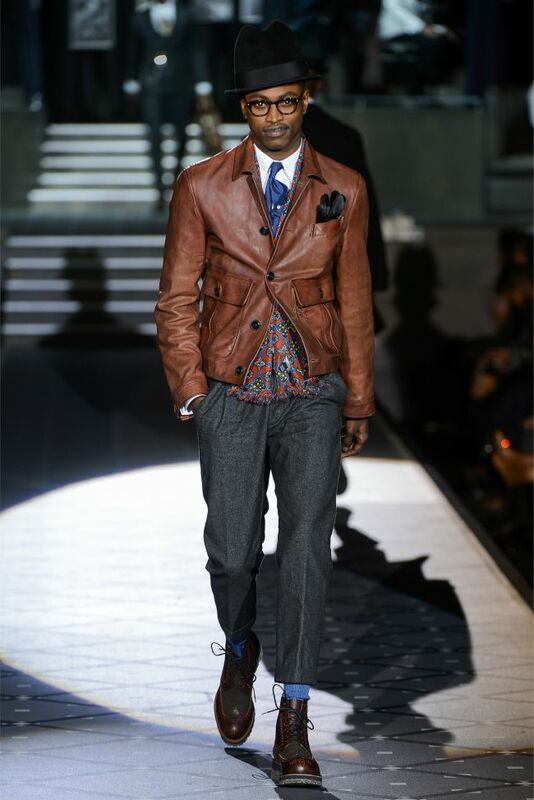 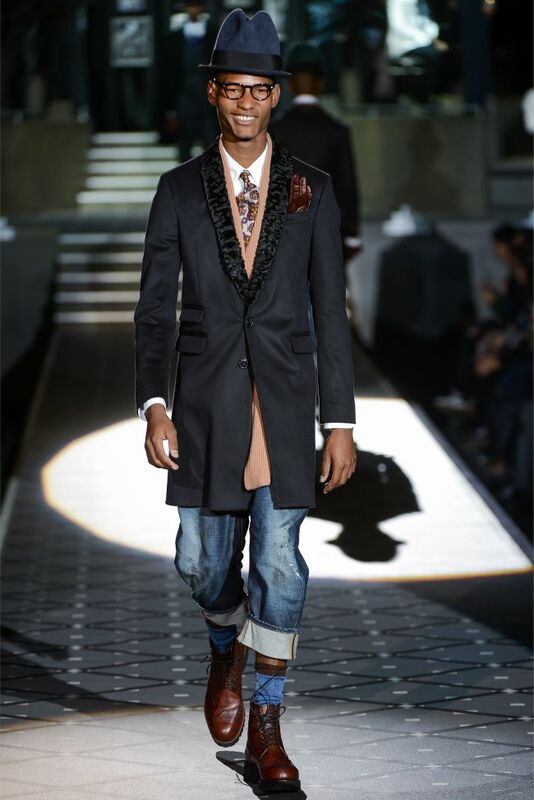 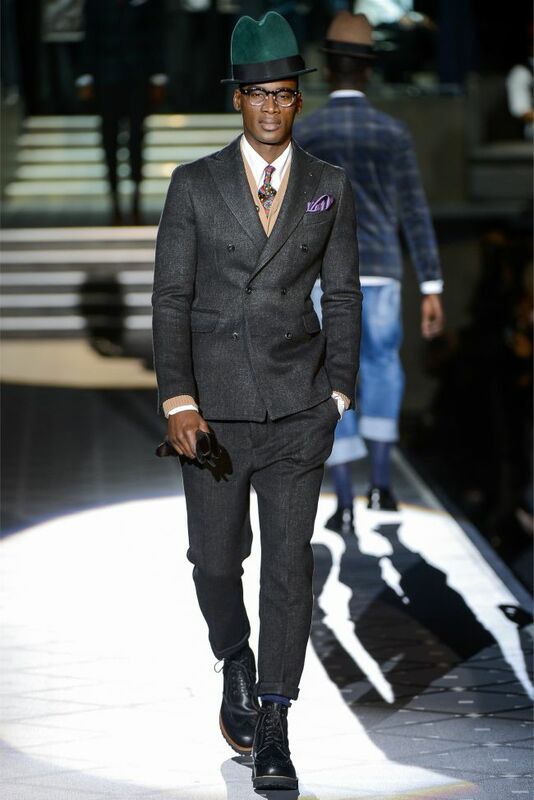 1940's retrospect seems to be the "trend" on the runway this time around in AW13 Mens Milan Fashion, and that includes DSquared2's latest showcase. 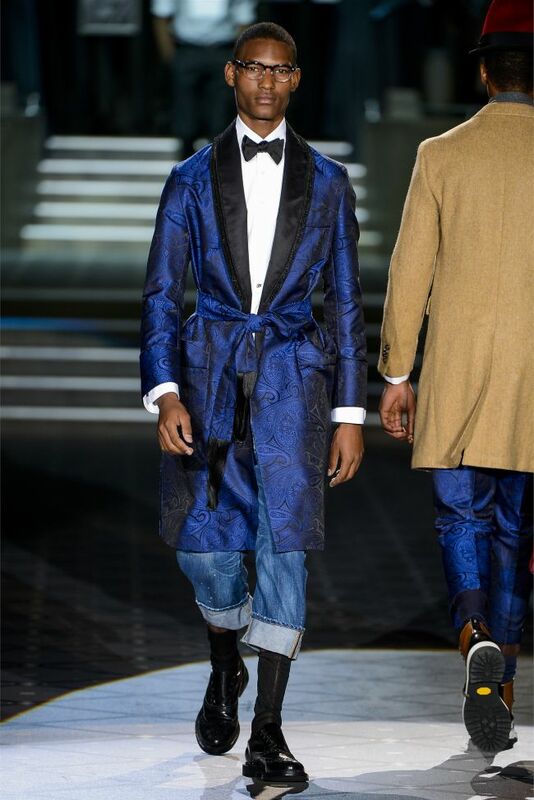 However, they set themselves apart by adding "Americanized" and "hip hop" elements to their definition of a dapper gentleman. 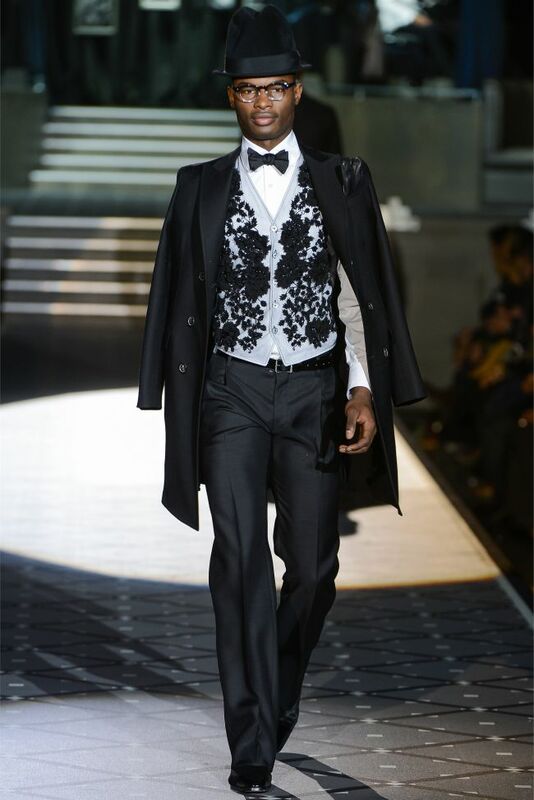 A double breasted blazers, long trench coat, tailored vest, well layered garments and a tall top hat are without question, conventional items to pull off a tasteful fashionable man's look. 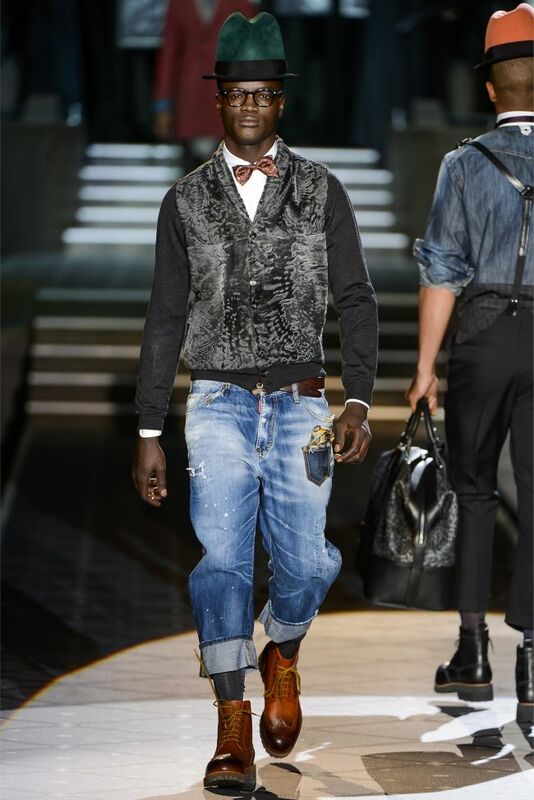 Now try complement it with a pair of widely known DSquared2 distressed denim and military boots. 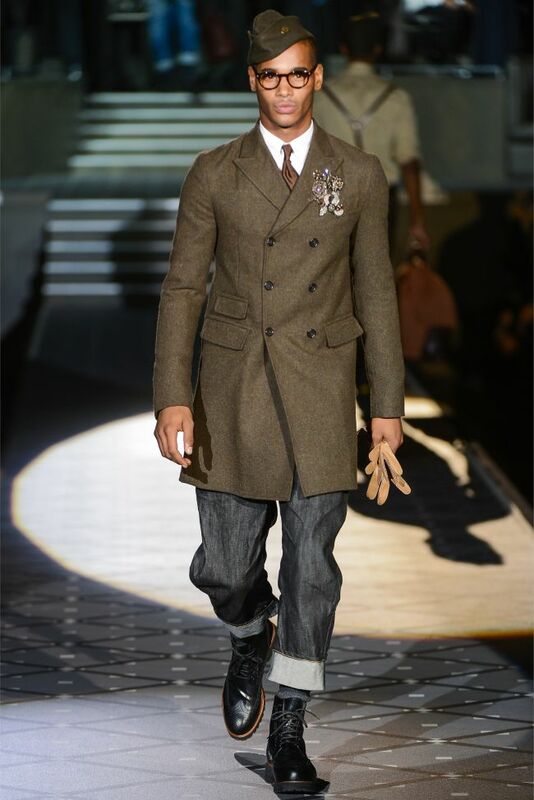 Suddenly, the 1940's became much more relaxed, vibrant and lyrical. 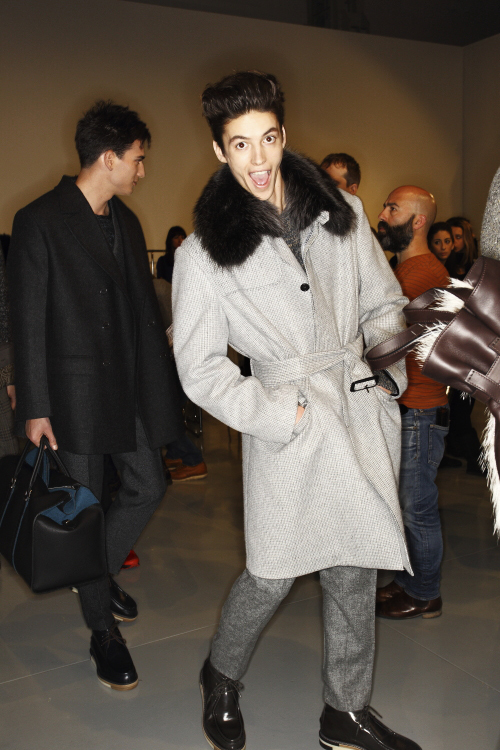 The word "cozy" always lingers to FENDI everytime I see their ready-to-wear items. 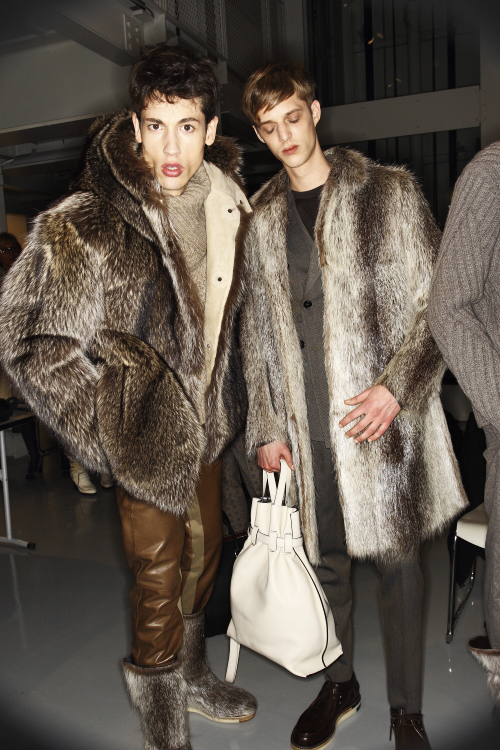 That's because FENDI is pretty in a marriage relationship with fur. 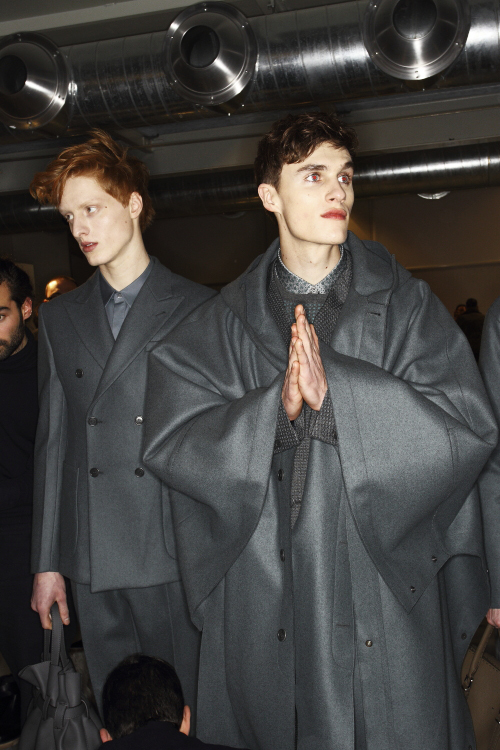 When it comes to autumn/winter, it's only surprising when you don't see it on the runway. 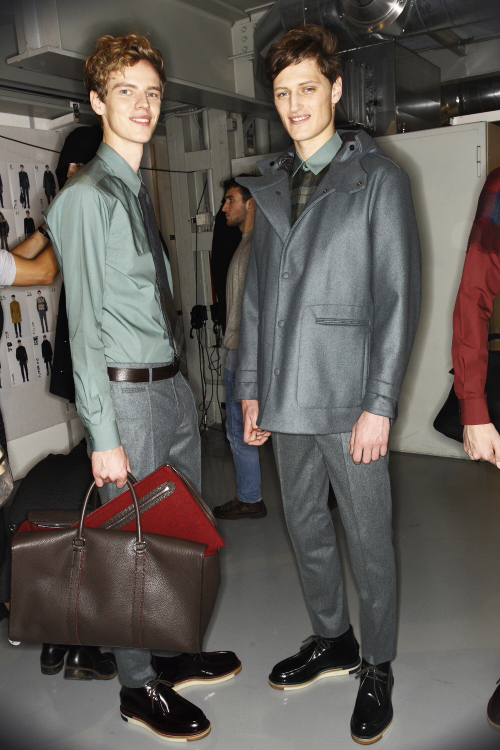 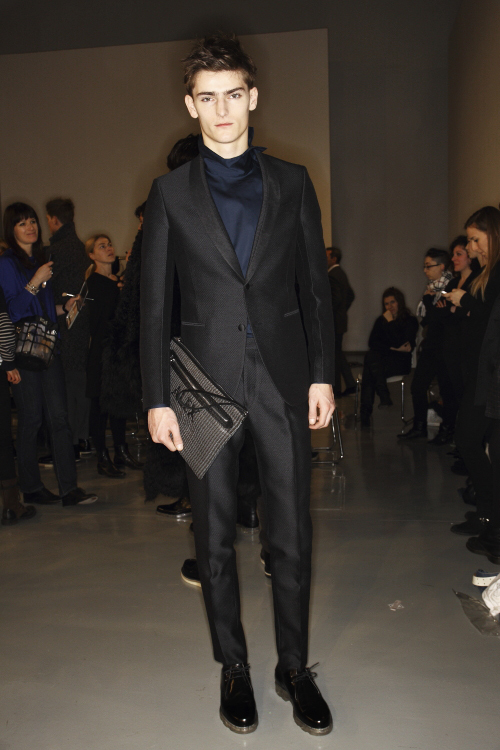 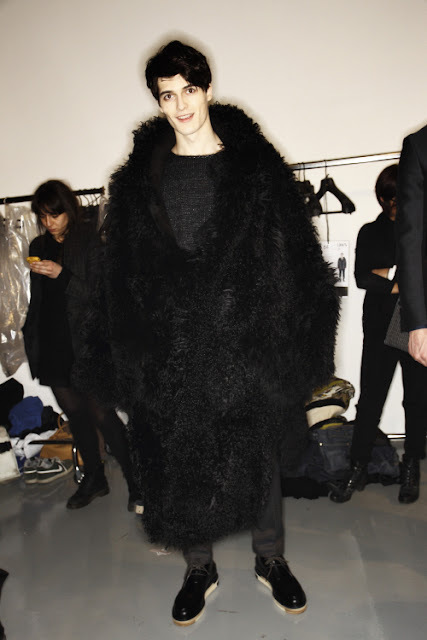 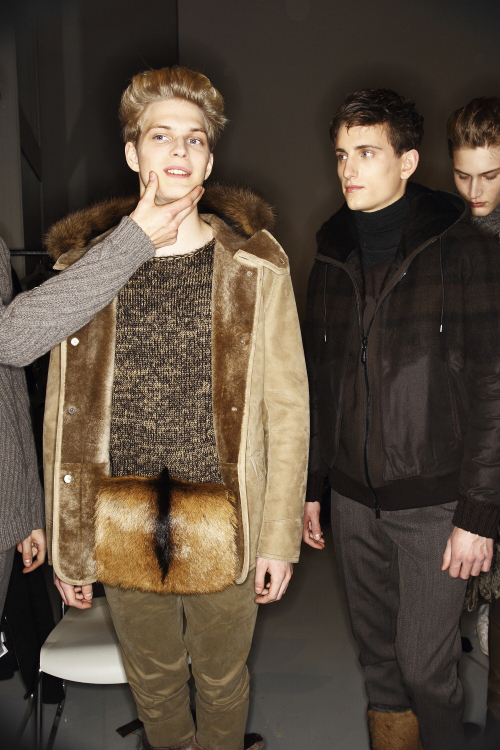 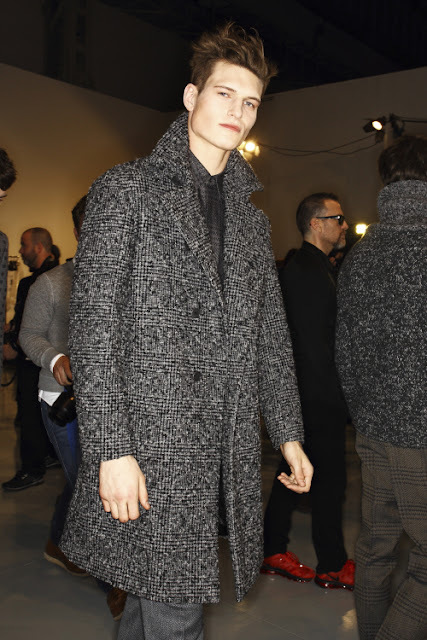 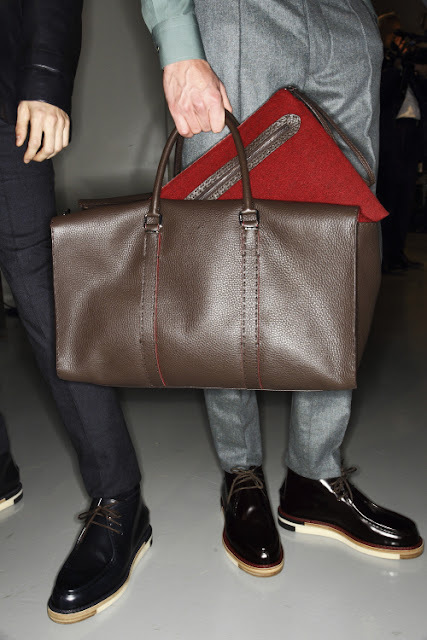 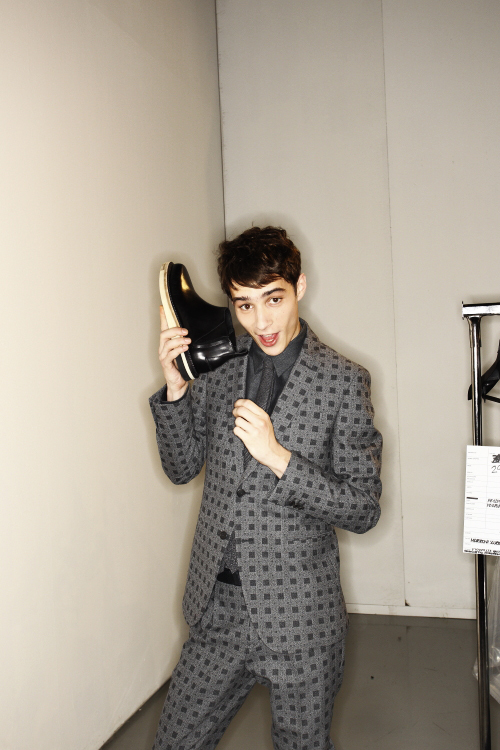 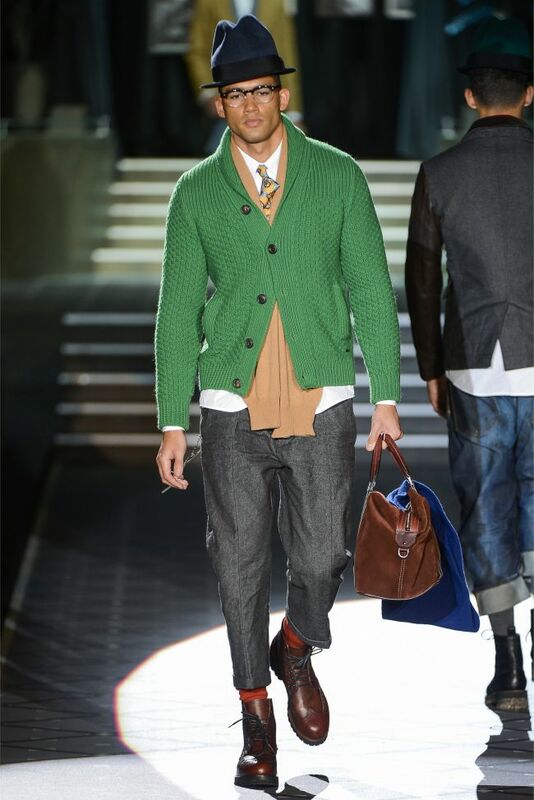 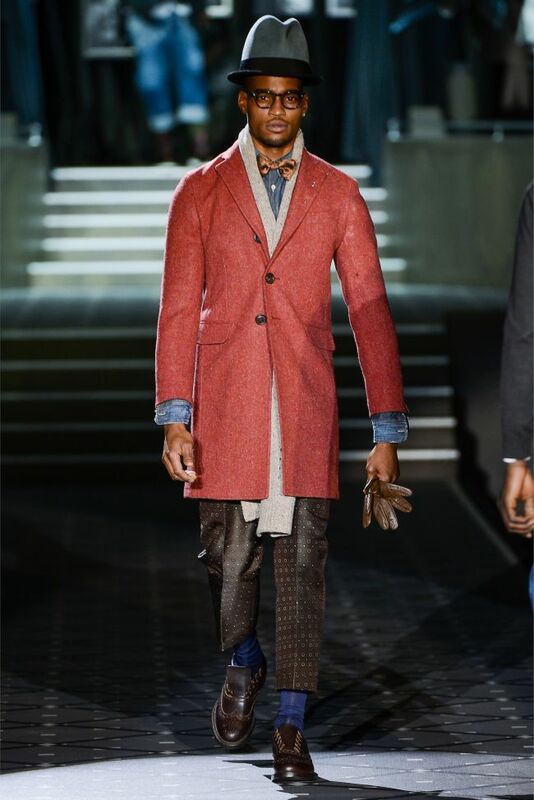 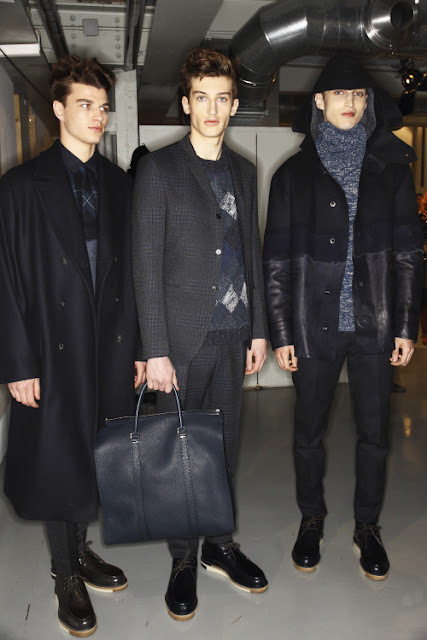 FENDI Men's AW13 stayed close to functionality over creativity. 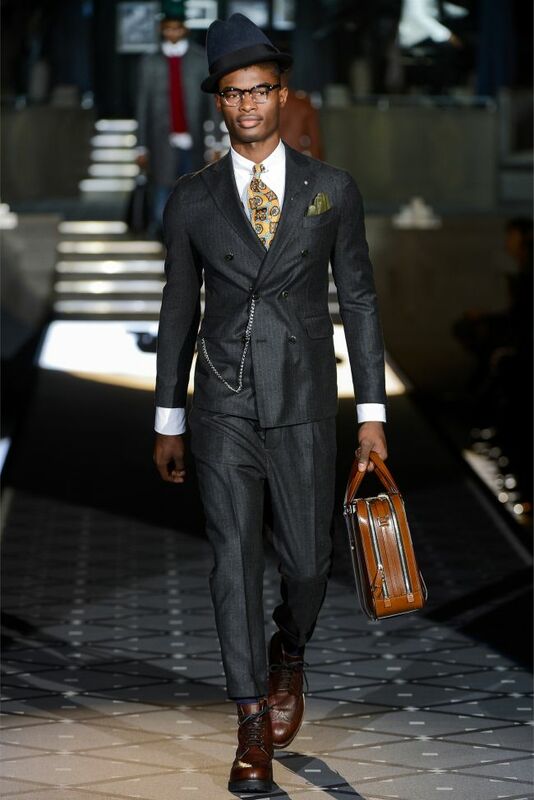 Their peices maintained a natural earthy element, while each look exposed classic luxury flavor which FENDI is well established of.